F1 has developed a season. A bit like the tennis calendar has a grass court season (though that phrase always amuses me given it seems to consist solely of Wimbledon and some warm-up tournaments for Wimbledon). It now is in a mini-run of tracks cut from the same cloth. 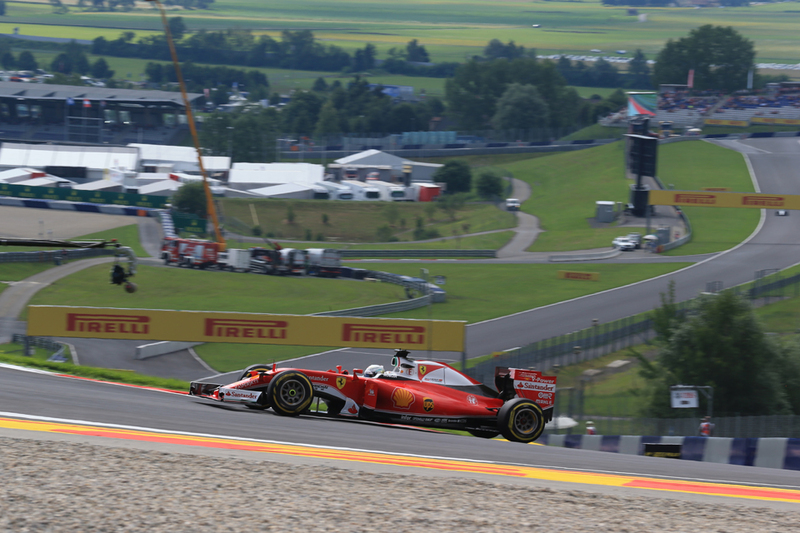 We had Montreal, then Baku, and the run is completed this weekend by the Red Bull Ring in Austria. These circuits each are made up mainly of straights, some long, separately almost exclusively by slow turns. Point and squirt, as we used to say. Straightline speed, braking stability and traction are the chief discriminators. 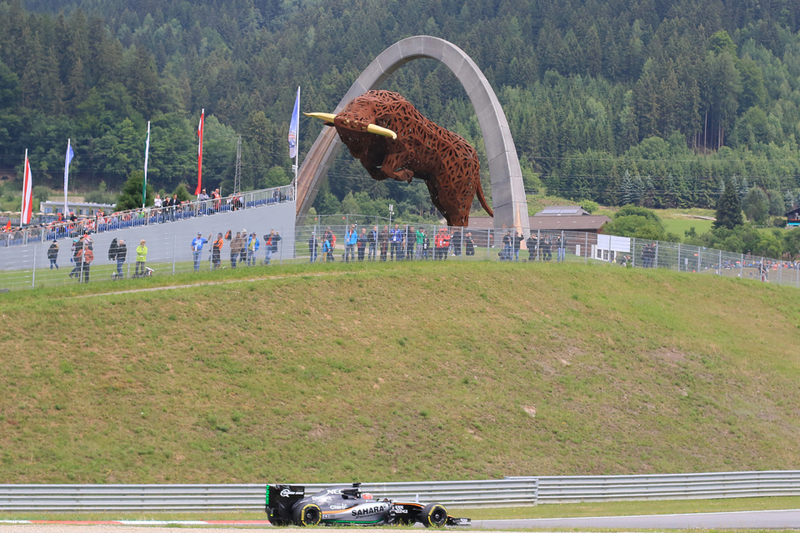 The image of the Red Bull Ring has over time shifted about as frequently as its name. When F1 first rocked up in 1997, to what was then called the A1-Ring, many struggled to forgive it for trampling the magnificent Österreichring underfoot. In sharp contrast the new version seemed then achingly tepid. It dropped off the calendar after 2003, but then Red Bull money - as evidenced in the current nomenclature - brought it back for 2014. And we then got a demonstration that time is a great healer, or else that things are judged in their context. Suddenly the track had developed a charm in the age of the cavernous Tilke-drome (ironic as this was in fact Hermann Tilke's first F1 effort). It seems now to be a firm fan's favourite. And as we were reminded in last year's visit rain can shake things up too; its arrival in qualifying (aided by a few grid penalties) gave us the refreshing sight of Nico Hulkenberg on the starting grid's front row, and Jenson Button third (Jenson ran second early in the race too). Pascal Wehrliein also scored a point for Manor. Mercedes entered this point and squirt season with trepidation, as it was the sort of track that it had been struggling on this year. But it took a one-two in Canada and while in Baku our attention's been taken away somewhat it should not be forgotten that Ferrari qualified over a second off Lewis Hamilton's pole time (but then again Baku is peculiar). That the Red Bull Ring is a power track and the altitude puts strain on the turbos would ordinarily make it Merc country (though there's not much between the Merc unit and the Ferrari these days). Yet an acute challenge here is getting even warm up between the front and rear tyres, as the traction zones ensure the rears heat up quickly but the fronts may not come in so rapidly. This sort of uneven tyre warm up really flummoxed Mercedes earlier in the year so it feels like this weekend will be the biggest test of whether the problem is solved. For Lewis meanwhile big braking zones are usually his thing yet he's actually not had a universally happy time here since F1 returned. He botched his final qualifying efforts at this track in his first two visits, followed Nico Rosberg home ignominiously in the 2015 race (picking up a penalty for crossing the pit exit line), while we know that last year his route to victory wasn't entirely straightforward. For Ferrari and Sebastian Vettel both will be keen (for their own reasons) to demonstrate that Baku was a one-off, rather than, say, the FIA's clampdown on oil burning impacting the car peculiarly. Prior to that round the red car had gone well on all sorts of tracks, while if the battle is indeed tight we know they'll attack - on track and on strategy - with relish. Mercedes doesn't always respond that well to pressure. Another irony is that the Red Bull Ring doesn't particularly suit the Red Bull, or rather the power circuit doesn't suit its Renault power unit. 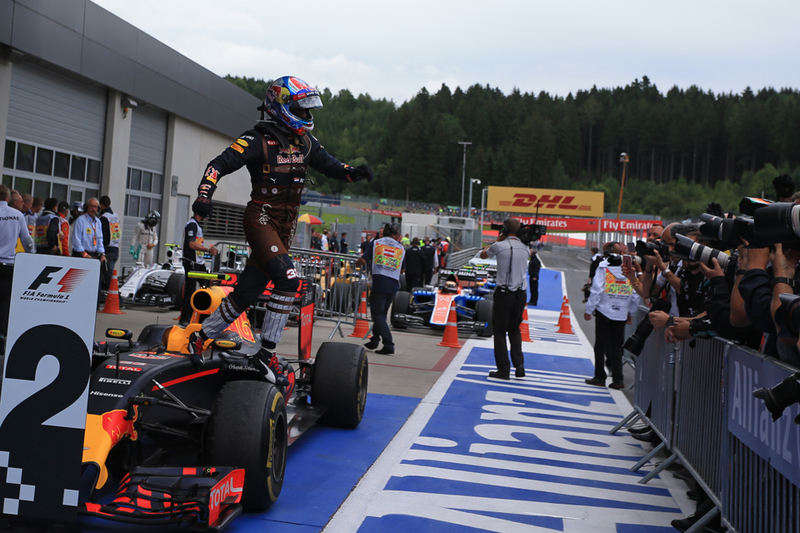 Last year though Max Verstappen took a fine second place and was within six seconds of the victor (a good effort even allowing for the final lap contretemps). The Bull traditionally excels in traction and low speed grip which also serves it well here, and its been in improved form generally lately. As in Canada and Baku the other Mercedes-powered cars should be well-set, and perhaps particularly so in the case of Williams. 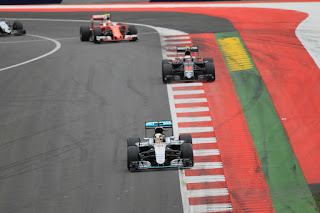 Its previous here is strong - in 2014 the two Grove cars locked out the front row indeed as well as ran the Mercs close in the race. It'll be fascinating to see if Lance Stroll can continue his upturn. Force India also tends to go well on this sort of track and its recent pace has been impressive. 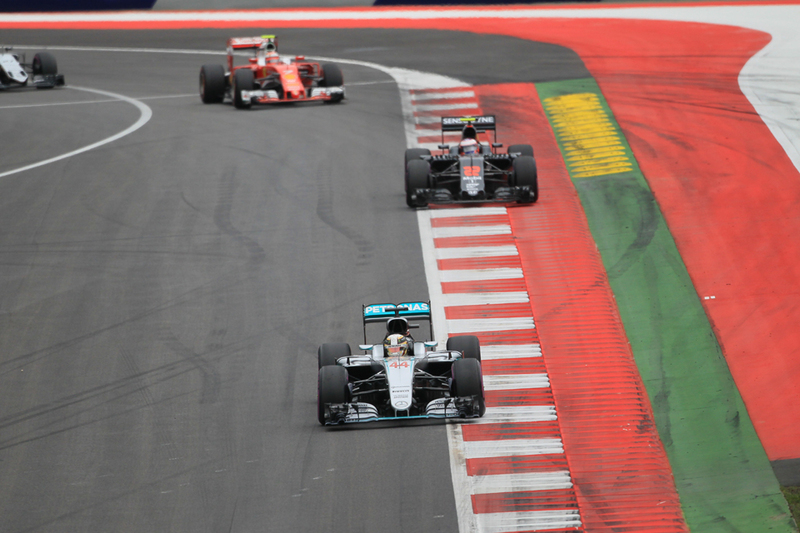 Then again the soap opera between its two drivers has been building in the past two races. Haas will be worth keeping an eye on also, as it finished seventh and 11th here last year. Yet we know about Romain Grosjean's lingering brake dissatisfaction and this is about the last track on which you'd want such a thing. This all assumes it stays dry. As touched upon weather in Spielberg can be anywhere from hot and sunny to monsoon - and the switch sometimes is in a blink. Last year's qualifying we've mentioned, and indeed second Friday practice was washed out too. At this stage forecasts suggest it'll be fine this time however. The mentioned rain plus that race day was much cooler than previously in the weekend meant strategists entered last year's race with little idea of how the tyres would behave. In the event though they held on more successfully than anticipated, Lewis did 22 laps (out of 71) on the ultrasoft while Max Verstappen did a whole 56 on a set of softs in executing a one-stopper. This will likely be the default this time, especially given the likely the lack of precipitation plus that this year's tyres are more durable. Graining can be a concern here, but usually only when it's cool. 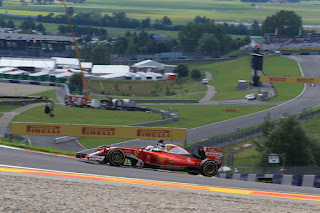 Despite appearances recent Austrian races have indicated that overtaking isn't too straightforward here, though the uphill braking zone at turn two after a long straight is the best opportunity. Qualifying will count for a lot, not only with as mentioned one-stoppers likely but in the last three years tyre warm up has been tricky which made undercuts not as effective as usual in gaining places - Lewis found that out with trying to usurp Nico last year. We saw in Monaco this year too iffy warm up of the supersoft can make an undercut not so fruitful. 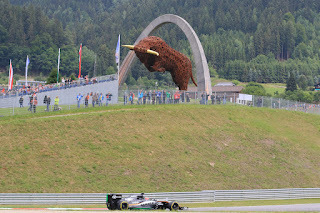 At the Red Bull Ring things are not always straightforward.